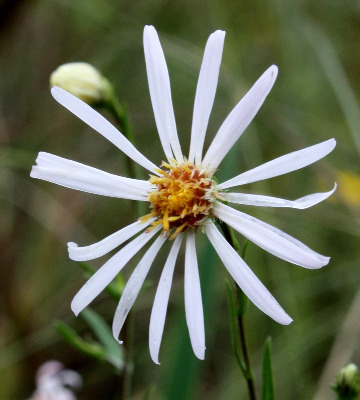 Aster borealis of Michigan Flora. Fens, bogs, open conifer swamps (cedar, tamarack, spruce); wet, often sedgy, sand flats, shores, meadows, and swales. The rays are usually white, sometimes pinkish or bluish. Occasional intermediate plants suggest hybridization with S. lanceolatum and S. puniceum. MICHIGAN FLORA ONLINE. A. A. Reznicek, E. G. Voss, & B. S. Walters. February 2011. University of Michigan. Web. 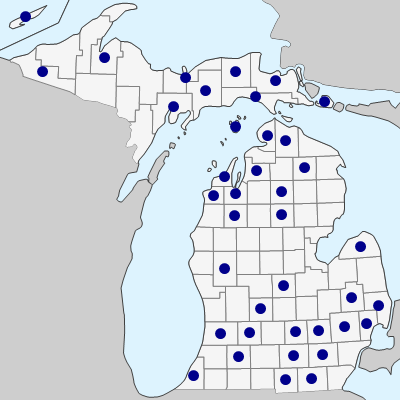 April 21, 2019. https://michiganflora.net/species.aspx?id=476.